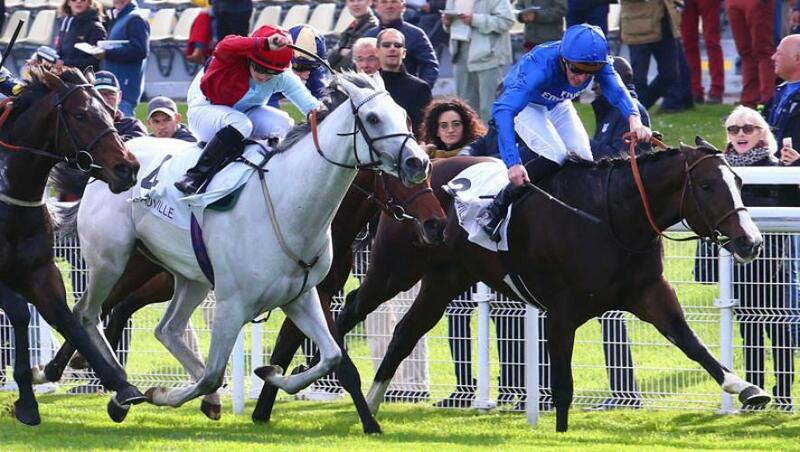 Munitions gained a first Pattern victory with a nose success in the seven-furlong G3 Prix Djebel at Maisons-Laffitte, France, on Wednesday, 10 April. The three-year-old colt, making his seasonal return for Andre Fabre, raced in second in a group of four runners down the stands’ rail under Mickael Barzalona as the seven-strong field split into two early on. Munitions ran on to take the overall lead entering the final furlong but was strongly challenged in the closing stages by Graignes, with the Godolphin runner prevailing on the line to score in 1m 25.57s on good ground as the first two finished clear of Amilcar in third. Lisa-Jane Graffard of Godolphin said: “We were delighted the victory of Munitions, who is now unbeaten in three starts at Maisons-Laffitte. “Andre Fabre said last year that Munitions wouldn’t look out of place in a two-year-old race at Royal Ascot. “He didn’t quite show that precocity and can be a little workmanlike in his wins, but he stands up to training and racing well so hopefully he is now ready to take another step up in class.